If there's anything to put cheer in my heart it's the return of the Great British Bake Off (GBBO) on Wednesday evenings. As ever it kicked off with cake week and the signature bake theme was drizzle cakes. Not wanting to miss out on the fun I joined in and made a blackberry and lemon drizzle cake. For a cake it has the most common basic ingredients of butter, flour, sugar and eggs. For the flavouring it required a lemon and blackberry. Of course the blackberries were foraged so they free but the cost of the other ingredients can add up substantially. Last week was biscuit week and as much as I like jaffa cakes I have never thought about making them myself. I fear the time taken to prepare them would far outweigh the time it would take for everyone to eat them! Jaffa cakes can be bought for anything from 50p for a value box up to £1.25 for a branded packet. At such prices there's something to suit all budgets and tastes but it shows what a difference in prices there is. One thing we do like to make each year at Christmas is a gingerbread house – although we do cheat and use a gingerbread house mould rather than trying to construct one ourselves! 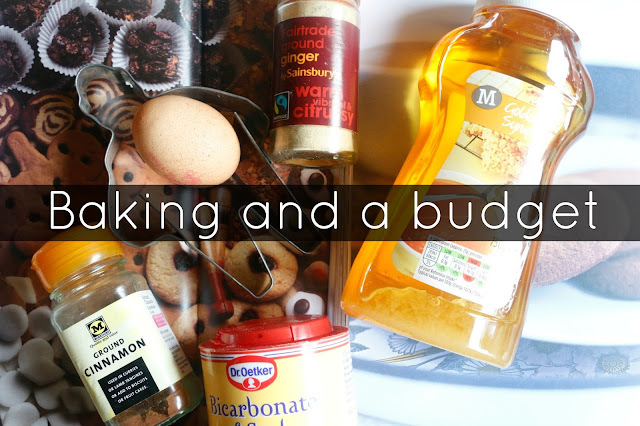 If you’re looking to save some money on your gingerbread or other baking, voucherbox.co.uk has created the Great British Save Off, a weekly price comparison of GBBO recipes and the best value supermarket to buy ingredients from each week. This week’s Star Saver is Morrisons but last week it was Sainsbury's. This is the reason why I shop at all the supermarkets and stock up on certain items when I visit there. Shopping lists are a key feature of my life! This week is bread week and while I may never reach the level of the expert bakers I do like to make different varieties of bread. I'll be keeping an eye on the costs to make the best value loaf as it's surprising how much difference there is between the prices of bread flour and yeast. Do you take notice of different prices for ingredients? Have got one supermarket you go to or do you shop around? I sometimes find that the time and costs of making something myself outweigh the benefits of buying something ready made. I made a colourful layer cake for my daughter a couple of years ago and it cost a fortune when you take into account all of the colours you needed to buy. Blackberry and lemon drizzle cake sounds totally amazing!